The internet is radically changing education at all levels around the globe. It’s here so you may as well embrace it! 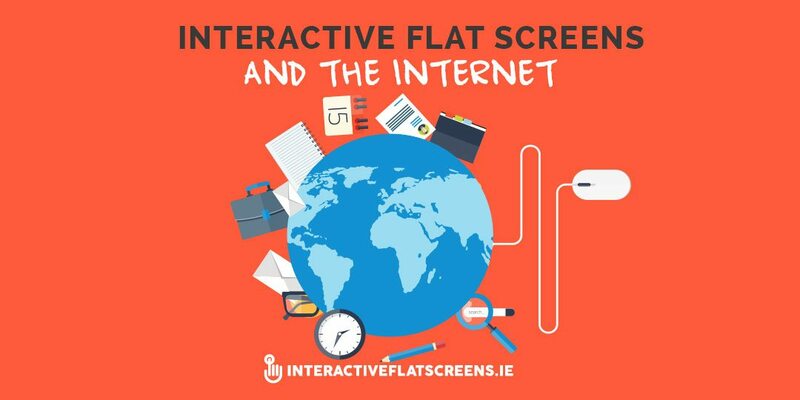 The Clevertouch Interactive Flat Screen gives instant access to the internet so your students can avail of the many education benefits it has to offer. Here are just some of the benefits of having the internet in the classroom. Wikipedia: This online encyclopaedia is fast becoming a legitimate source of knowledge. If there are any questions or issues raised in the classroom that neither teacher nor pupil can answer he/she can go to Wikipedia and get to the truth of the matter. The internet is so much faster than it used to be so the teacher will save valuable time by searching it instead of disrupting the lesson by looking up a book. Wikipedia articles are also longer and more comprehensive than any physical encyclopaedia’s are likely to be. Freedom: By having so much knowledge at their fingertips, teachers are freed up to give more attention to individual pupils. This is one of the greatest benefits of the internet as students are considered individuals instead of a uniform, passive body. 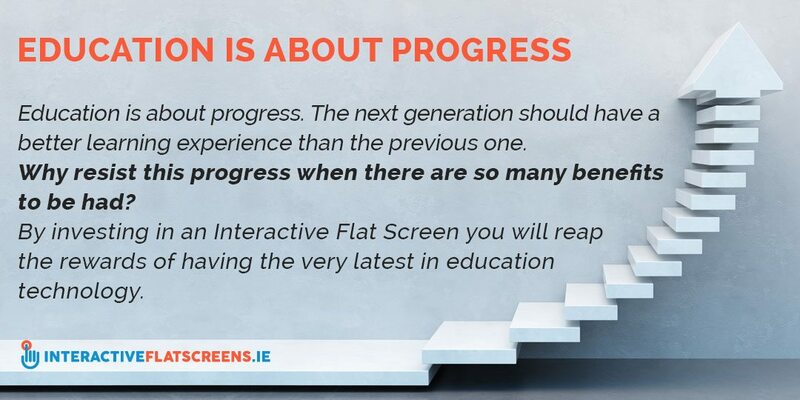 Learning is increasingly becoming student centred and the interactive touch screen facilitates this. Fun: Searching the net can be as much fun as it is informative. This can contribute to class discipline as every pupil’s attention is arrested. Every class deserves fun and relief from exercise and browsing the internet on the touch monitor is one way of doing this. Perhaps some music or a film could be played. Or maybe funny but relevant videos on YouTube could be shared. The class could start a YouTube channel demonstrating their talents and abilities. Partnership: The internet allows classes to connect and interact with other classes around the world. A pairing with classes across the globe can be made. Through this the pupils can exchange information and knowledge and learn about other cultures. A Skype connection can be made on the interactive flat screen via a laptop so that pupils can see and talk to their partner class. So much can be learned in this way but it’s also good fun! Education is about progress. The next generation should have a better learning experience than the previous one. Why resist this progress when there are so many benefits to be had? By investing in an Interactive Flat Screen you will reap the rewards of having the very latest in education technology. If you like the sound of this, contact us and we’ll set you up with a powerful interactive touch screen by Clevertouch. As the web gets safer and websites are getting better and more sophisticated, a connection with the internet is fast becoming the norm in classrooms. Give us a call now on +353 1 466 0515 or contact us online to find out about our range of interactive touch screens for your school!